The Jews were complaining to each other about Jesus, because he had said, ‘I am the bread that came down from heaven.’ ‘Surely this is Jesus son of Joseph’ they said. ‘We know his father and mother. How can he now say, “I have come down from heaven” ?’ Jesus said in reply, ‘Stop complaining to each other. and they are dead; . Jesus had a big insight that people came to him because God has something in them that draws them to his message, to his personality and to his self-sacrificing love. St Ignatius often says to pray for what we really desire. It takes time to sift various desires, and even in prayer we may find ourselves getting revengeful and hurtful. A bit more time and the mood may change into tolerance and praying for those we don’t like. Desires for goodness, peace, forgiveness are given by God. Prayer and shared faith can increase these good desires. I have never left prayer without feeling more open to others and more living. My big prayer is always answered: ‘Lord may I love like you’, answered even a little. We make our steps towards Jesus, like the people at his gatherings did, because God has called us this way. Let’s be grateful that we are drawn to Jesus, and this ‘drawing’ is a grace of God. Lord, teach me to know you more, love you more and serve you more faithfully in life. 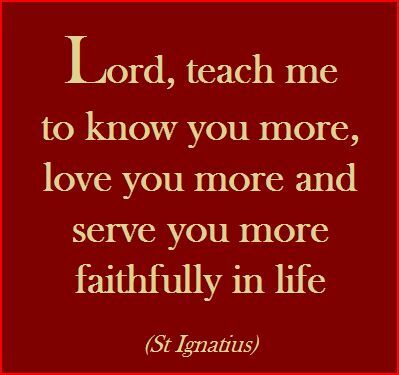 (St Ignatius). This entry was posted in Gospel of John, Gospel Reflection, Liturgy Resources, Prayer Resources, Scripture, Year B and tagged 19th Sunday Ordinary Time Year B, August 9th 2015, baptism, being drawn by God, bread from heaven, Bread of Life, desires, Donal Neary SJ, Gospel Reflection, Gospel Reflection for 2nd August 2015, Jesus, Jesus Christ, John 6:41-51, Lord Jesus, Love, Mass, Pope Francis, practice of faith, Prayer, sacraments, St Ignatius, Sunday Gospel Reading and Reflection.